Discussion in 'The Story' started by Marina Giulestei, Nov 6, 2018. It wasn't without doubts that Marina returned to the Deep Core these days, after Tython. Though that was exactly why her and Austin were here now. With the Jedi Order fleeing, it wasn't just the knights and younglings that were effected. A hundred smaller things, visits, shipments, supply runs, outbound missions, all had been thrown into a rather uncertain state of limbo now. And that included all the things the Jedi Order had already paid for. Paid for and still desperately needed. "... and they won't answer our calls to redirect it. I pray it's just paperwork, but part of me knows its never that simple" she finished, running through the details with Master Wolfe. Not the first time they'd worked together, and hopefully not the last. Her mind had been healing rapidly since their escape from Tython, she was regaining a bit of her old personality again. It was good to feel herself once more, and to be herself with others, too. "Do you want to try finding out what the hold up is, or shall I?" Nefieslab and Vosrik like this. Flying steadily towards the open hangar bay of the Vintner Station in the Azarael, the trio had been after a particular freighter that had stopped there while en route to Tython. Clearly, those delivering the valuable cargo were unaware that the previous homeworld of the Jedi was now under invasion from the Sith Empire. If the freighter even got close to the blockade, it would be blasted into oblivion or seized for the lightsaber parts held within. 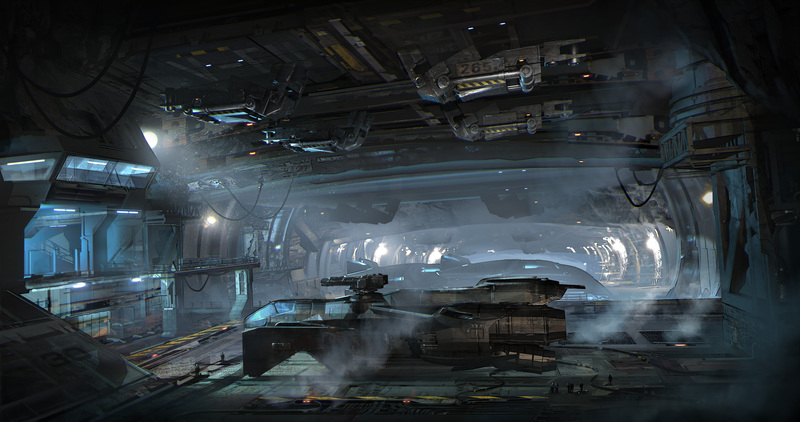 "The freighter is still stationed here, far longer than it should be for a pit stop before continuing on to Tython. I believe something more sinister is at work here," Austin replied to Marina's initial review of the details. "You have any information on this station, Tennant?" the doctor called to the back of the cockpit and down the corridor to the rest of the medical craft. Some clanking was heard, and the mustard-yellow photoreceptors came into view as the tall medical droid turned the corner. "The Spyder had some dealings with this place, in fact the Azarael was used to smuggle goods out from Vintner on one or two occasions. Nasty place," 10-NT commented vehemently, still not having forgiven his former owners for turning a medical ship into a smuggling craft. "Good to know," Austin murmured, swiveling his chair back to the controls of the ship. He thought for a moment before deciding their next course of action. "We should attempt to dock, if they will allow us." The doctor pressed a button, sending a docking request to the traffic control tower. "We will be able to investigate better once on the station." Only a few moments of suspense passed before they received a response — they were clear to dock in the hangar.*. "Excellent," Austin commented. "They are apparently not so paranoid from the nearby invasion that they would halt the flow of business. Which makes the hold up of our freighter suspicious indeed," he deduced. The Jedi certainly had their work cut out for them. The doctor turned his head around the edge of his seat, checking back to ensure that Felwinter and Galahad were doing alright. So far, the Arkanian Dragon seemed to enjoy their little adventures. Nightfall, Nefieslab and Shalken like this. Galahad nodded as Marina and Austin looked over the briefing of their mission. The situation was strange, indeed. After some deliberation, Galahad replied to Knight Giulestei, "I do not believe it is necessary for us to split up, but we should be prepared to if necessary. There is no telling what could be causing the delay." No matter where they were, it seemed Galahad was always faced with that terrible few seconds of suspense after a docking request. There was no way of knowing whether it would be accepted, if more information was required, or simply be rejected and then get blown apart by heavy ordnance. That was partially why Galahad did not enjoy space travel. If a landspeeder was attacked, there was always good chance of preventing his death. But in space, even the slightest hull breach could spell the end of your life. Thankfully, their request was accepted, and Galahad breathed a low sigh of relief. First hurdle crossed without a hitch. Scratching his beard in thought, Master Vult reached into a casket nearby, pulling out a piece of raw meat. Calling upon the Force to create an open flame in his palm, he rotated the hunk of flesh in his fingers until it was fully cooked, after which he tossed it to Felwinter. The dragon was no longer a hatchling, now having grown to about the size of a small dog. Though he was able to breath fire in short spurts, Galahad still helped a great deal in preparing Felwinter's food. "If the station's security has no problem with our arrival," the ex-guard reasoned, "Then perhaps the shipment is being held up for another reason altogether, one not entirely official." Disembarking the ship, Galahad was approached by a grimy-looking fellow with a clunky datapad in his hand. "Got any cargo you're transferrin'?" he asked lazily. "No. In fact, we are here to inquire about a shipment we have already requisitioned that was halted at this station. Can you tell me where it is being held?" Rolling his eyes, the deck officer jerked a thumb behind him. "Bay 13. Good luck with that one," he spat before shuffling off. Shrugging to his companions, Galahad headed in the designated direction of their freighter. Nightfall, Vosrik and Nefieslab like this. Accompanying her allies through the station, she couldn't exactly say she envied 10-NT for having been here previously, but it didn't disgust her. It was shoddy, workmanlike. It completed its function and it wanted to be little more. Though whether it could be friendlier certainly wasn't up for debate. The halls down to Bay 13 did little to inspire her, though the man with the manifest did pique her interest. And her worries. It would not take long to find out why he acted with such disinterest. The men that lined the hangar bay were not exactly the friendliest looking fellows, nor was their spokesman, who seemed to have just enough cocky smarm that perhaps he thought himself rather charming. "Villem" she began. She felt like hissing it back, instead she toned it down, sounding simply dour rather than disgusted "there's an easier way off here for everyone, we can make a deal-"
"Otherwise, let's do business" the lines of communication were opened it seemed, though only just. Ball was in the court of the Jedi now. Nefieslab, Vosrik and Shalken like this. An eyebrow raised upon hearing Galahad's estimation of the holdup. "That is indeed possible," he commented in reply. "We do seem to find ourselves apprehended by the most outlandish of things." As they touched down on the landing pad, Austin looked over at the medical droid before disembarking. "Might be best if you stay with the ship, Tennant. We shall handle it from here, I would not be surprised if one of this station's inhabitants attempted to steal you for parts." With a smile, the doctor headed down the ramp as the droid replied, "A most pertinent observation, companion." The conversation between Galahad and the deckhand seemed to confirm what the former Temple Guard had said earlier. And to think that Austin was concerned at first about the Vintner station's security — it appeared no rules or laws were upheld here. And so to Bay 13 they went, with the doctor growing more curious by the minute as to what happened to their cargo. Upon arriving, he was not surprised to find that they were held up by mercenaries. With the war between the Empire and the Order blazing, many such groups were eager to take advantage of whatever they could get a hold of. First impressions of this mercenary was that he truly did not understand the gravity of the situation he was in. In times past, whenever there were situations that needed to be resolved on planets or important negotiations attended to, the Order usually sent no more than two Jedi. Before these mercenaries stood three, two of which were Jedi Masters. If it came to blows, this Villem certainly couldn't think that he would win. As much as he thought he had the upper hand in a bargain, that was simply because Jedi only resorted to violence last in a negotiation. "You can have the ship," Austin commented, folding his arms and cocking an eyebrow. "But those crates belong to the Order. We are here to simply collect our own. Here is our deal — give us the crates, and you may leave freely with that freighter." Accenting his words, the doctor nodded his head toward the ship that once held the valuable lightsaber parts. Villem paused, chewing on his cheek and the words the Jedi Master spoke. The fact he mulled over this proposition was incredibly telling — that they really did not care for whatever was in the crates and just wanted the ship. Perhaps their old one had been destroyed and their only other recourse was to steal another one, with cargo on the side they could sell. "I like the sound of that," Villem said at last. * "But I'll make ya a counter offer. There are, what, ten crates here? I'm not parting with all this just for a ship when I've got my hands on them already." He stepped up onto a crate once again, leaning forward on his knee. "I'll make a counter-offer. We'll give you...five of these, while we get the rest and the ship." His face twisted into a snide smile once again. However, all three Jedi knew they could not leave without retrieving all the lightsaber parts. In this time of war, they were too valuable to be left behind. Nefieslab, Nightfall and Shalken like this. At first, Galahad wasn't sure that Villem would even consider any offers made by the Jedi. As he jumped off the crate and prepared to leave, Galahad was almost certain they had failed right then and there. However, thanks to Marina's quick thinking and speaking, she proposed a deal — which the mercenary leader suddenly seemed quite willing to partake in. ⋮⋮ It would seem everyone in the Core wants to make a deal these days, ⋮⋮ Master Vult mused, thinking back to his and Austin's recent escapade on Ojom and the kingpin that operated it. In any case, negotiations in any form were always better than open violence, so this was certainly a step in the right direction. Villem started by stating the lowest he would go — namely that he would be leaving with the ship, whether the Jedi liked it or not. However, this could easily work in their favour; they didn't need the ship, only the now-unloaded crates that were its cargo. Austin took the lead next, proposing that the mercenaries leave with the ship and let the Jedi take the crates. However, for whatever reason Villem had the bright idea of pretending that he had ownership over the crates and was doing the Jedi a favour by letting them have half. This offer was outrageous, and Galahad had simply had enough. Striding forward a few paces, Galahad planted the bottom of his brylark staff firmly against the durasteel plated floor of the hangar. "I will say this only once. Those crates belong to the Jedi Order, and we have arrived to retrieve all of them. No exceptions." Though the ex-guard was not always a man of tact, even his few words made his point entirely clear and that nothing would sway his decision. A bold move, especially given their current circumstances, but one that ultimately paid off. The mercenary leader scowled slightly, chewing on his cheek again. Looking as though he would make another counter-offer, one of the merc troops nearby stepped over and whispered something about 'time' in his ear. Raising both hands disarmingly, Villem then conceded. "Alright, tough guy! Fine, take the cargo. Probably full of worthless kessin' weird culty stuff anyway. "* With that, he spun around and signaled his troops into the freighter, which they boarded and immediately took off. Perhaps they figured it was too much effort to make a quick buck from leftover cargo and potentially anger a group of dangerous warrior-monks, or maybe they just needed to get somewhere else on time. Either way, they would never know. Wiping his brow, Galahad exhaled in relief. "That went surprisingly well," he remarked, turning to the ten crates stacked nearby. "We must get these on board quickly, in case the mercenaries change their minds." Nightfall, Nefieslab and Vosrik like this. "I hope, I hope it's enough. Little victories like this I mean. We have to keep going somehow-" she gestured to the crate in her hand "maybe this is the way" Marina voiced her thoughts with a weak smile. Even if things had gone better than expected, the galaxy remained the same. This was still a retreat, an acquiescence to the dark even if they kept the candle burning through moments like this. Deep breathes, she told herself, before grabbing another crate and hauling it onto the ship. Vosrik and Shalken like this. As Galahad made the intention of the Jedi quite clear to the mercenaries, Austin fully expected to have to draw his lightsaber in the end and fight for the crates. Throughout the ordeal, the doctor had drawn the Force within himself and allowed it to guide his actions according to its Will. The outcome was beyond his wildest expectations — the Force truly was with them today as the mercenary leader figured the hassle was not worth their time, handing over all of the crates without any more resistance. Never in all Austin's journeys had a task gone so smoothly and without the need to take up arms — the head merc even allowed Marina to knock shoulders somewhat roughly without a single complaint. The freighter's engines roared to life and in a moment, the Jedi were left alone with the crates of lightsaber parts in Bay 13. The doctor could not contain himself, breaking out into a smile and a chuckle that resounded merrily throughout the hangar. "I agree, Knight Giulestei," Austin commented in response. Looking off to the side, he spied a small cargo transport and strode toward it. Plopping into the seat and pressing a few buttons to activate the repulsorlifts, he whirred it over to the pile of crates strewn about the bay's metal flooring. "I see the most difficult part of this retrieval will be whether we can carry all these parts in a single trip," Austin joked. Picking up a crate, he heaved it over and placed it gently onto the transport's empty loading port. "This was a victory indeed," he replied to Marina's thoughts. "These parts will be used for the good of our Order. They are vital to the survival of the Jedi — for I fear that we will be unable to acquire this many parts in the coming years." He shook his head gently with disbelief, still wondering how they were able to get rid of the mercenaries so easily. "It is good that those men did not open the crates. I am certain the Empire would have paid a small fortune for these parts." With some positioning and skill, the three Jedi were in fact able to place all the crates onto the transport — though it was clearly not meant to take that many. * With a smile, Austin hopped back into the driver's seat and took hold of the wheel. "Come then, let us leave Vintner Station. We have no more reason to stay." And with that, the trio left on the Azarael, along with their precious cargo and no shots fired. Nightfall and Shalken like this.